White House chief of staff John Kelly has reportedly expressed an extreme view on refugees in the U.S. According to the New York Times, during a summertime discussion about the number of refugees who should be admitted into the country, Kelly indicated, "If it were up to him…the number would be between zero and one." The alleged comment was included in a largely critical piece about the retired general. 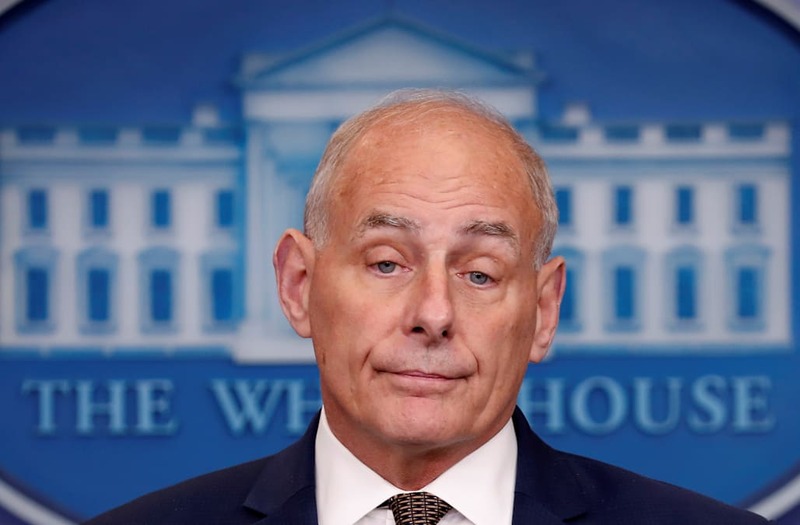 "For all of the talk of Mr. Kelly as a moderating force and the so-called grown-up in the room, it turns out that he harbors strong feelings on patriotism, national security and immigration that mirror the hard-line views of his outspoken boss," the Times notes. The piece comes about a month after President Trump reportedly decided to set the refugee cap next year at 45,000 which, according to Politico, "would be the lowest since the program was established in 1980." The Obama administration had set the number at 110,000 for fiscal year 2017. Meanwhile, the current administration also recently announced that the U.S. refugee program would be starting again but with what it calls "enhanced vetting capabilities." Officials have indicated this includes an added 90-day review of applicants from 11 countries, notes ABC News. Members of this group must not be considered a security threat while benefiting the "U.S. national interest." The process will also reportedly include an enhanced focus on social media accounts, fraud prevention, and biographical history.